Starlight Xpress Maxi USB Filterwheel 9 x 2"
Home > Telescope accessories > Filters > Filter wheels & Filter sliders > Starlight Xpress > Starlight Xpress Maxi USB Filterwheel 9 x 2"
The Maxi filter wheel is ideal for use with larger format cameras, as it has the ability to carry up to 7 x 2"inch square filters, or 9 x 2 inch round filters. 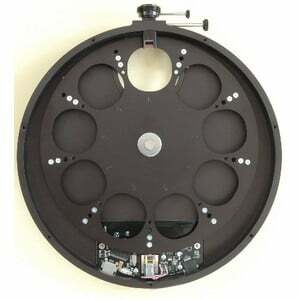 It also has a large input / output aperture of up to 65mm clear diameter (72mm x 1mm threads). The built-in off-axis guide assembly makes it easy to use with many guide cameras, but it was designed for the Starlight Xpress Lodestar X2. 7 x 50.8mm square unmounted filters. 9 x 50.8mm round unmounted filters. 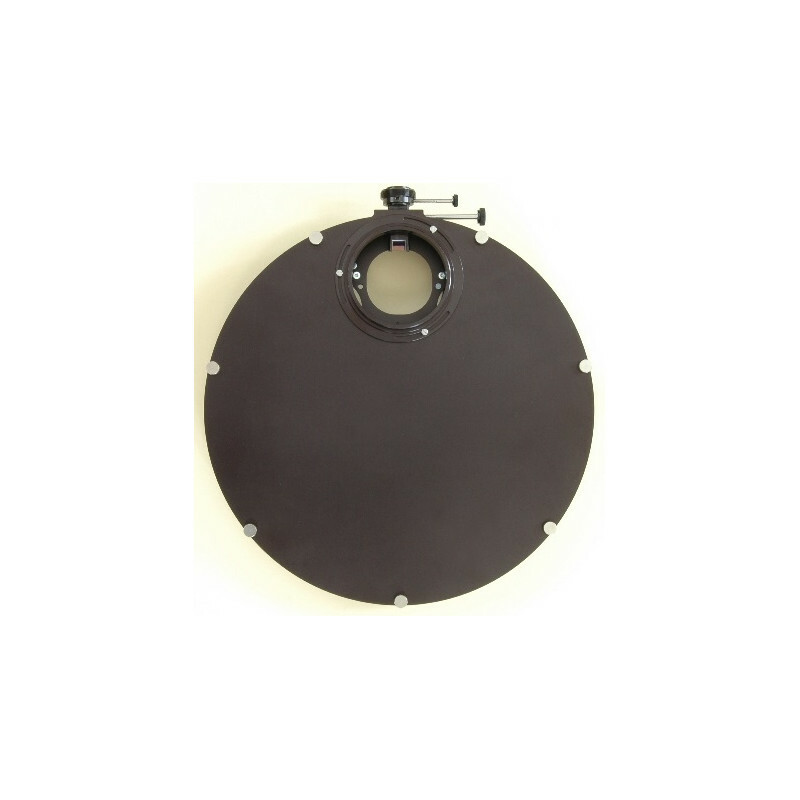 11 x 36mm round unmounted filters. 9 x 2" threaded filters. 11 x 1.25" threaded filters. Unmounted filters may be up to 5mm thick. 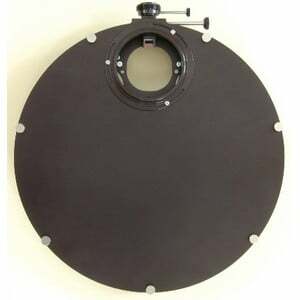 The standard output adaptor ring is a male 72 x 1mm threaded version, intended for coupling to a Trius SX-35 or 36 camera. 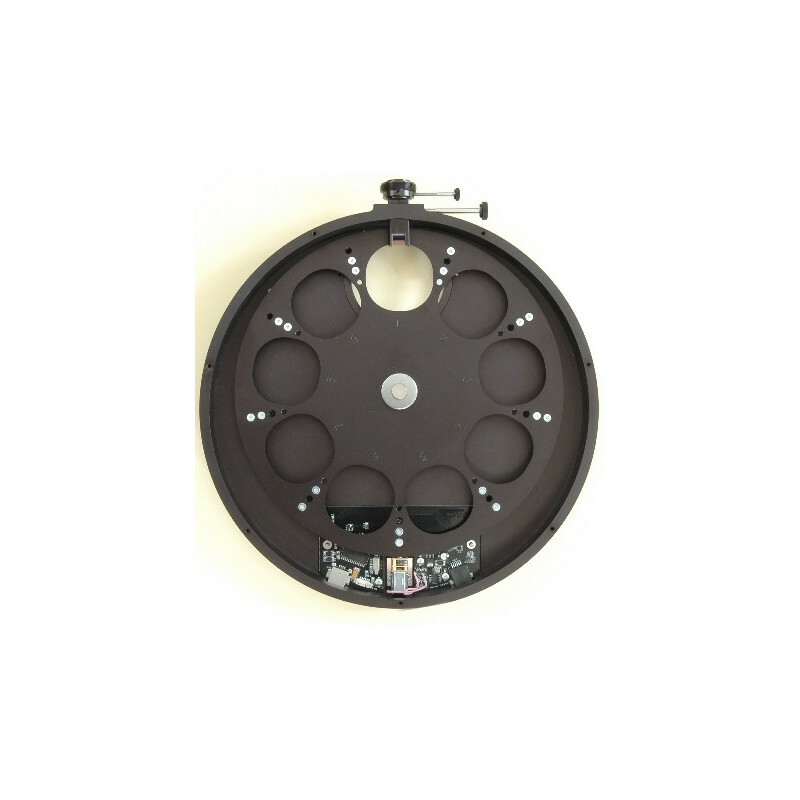 The Maxi wheel uses the same control protocol as the smaller SX wheel and has both USB and serial inputs. The entire electronic assembly is USB powered and does not need an external power supply (the serial input does require a small PP3 style battery, if it is used).